The decision was backed by 276 MPs. "I have tabled a new draft decree in which the duration of martial law has been reduced to 30 days. This decree has been registered with parliament, officially replaced the previous one and you will be voting for this particular decree," Poroshenko said while presenting his initiative. 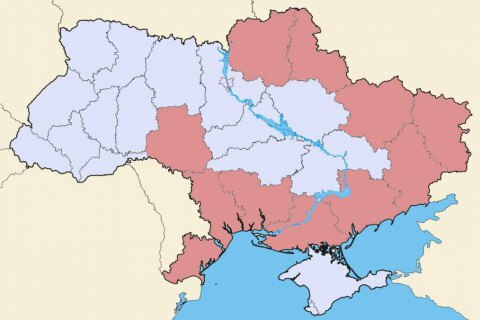 "The second position is that the draft law which endorses the decree introduces martial law exclusively in the regions located along the Russian border, the Dniester sector of the Ukrainian-Moldovan border and along the coast of the Sea of Azov and the Black Sea. For the record, I want to read the list of these regions. These are Vinnytsya, Luhansk, Mykolayiv, Odesa, Sumy, Kharkiv, Chernihiv and Kherson regions and the inland waters of the Sea of Azov and the Kerch Strait," he said. The president did not mention Zaporizhzhya and Donetsk regions although they are also on the list. Special arrangements will be put in place only in case of a ground operation by the Russian regular troops outside the Joint Forces Operation area and Crimea. The president promised that the rights and freedoms of citizens in the martial law area would not be limited without a good reason. Some MPs told LB.ua that they had not been provided with the text of the president's new decree. On 25 November, the Russian FSB Border Service first rammed a Ukrainian tugboat on approaches to the Kerch Strait. It also blocked the passage through the Kerch Strait by blocking the way with a tanker under the so-called Crimea bridge. Later in the day, as the two light armoured boats and the damaged tugboat of the Ukrainian Navy attempted to continue their journey, the Russians opened fire and captured them, injuring six sailors, according to the Ukrainian Navy.